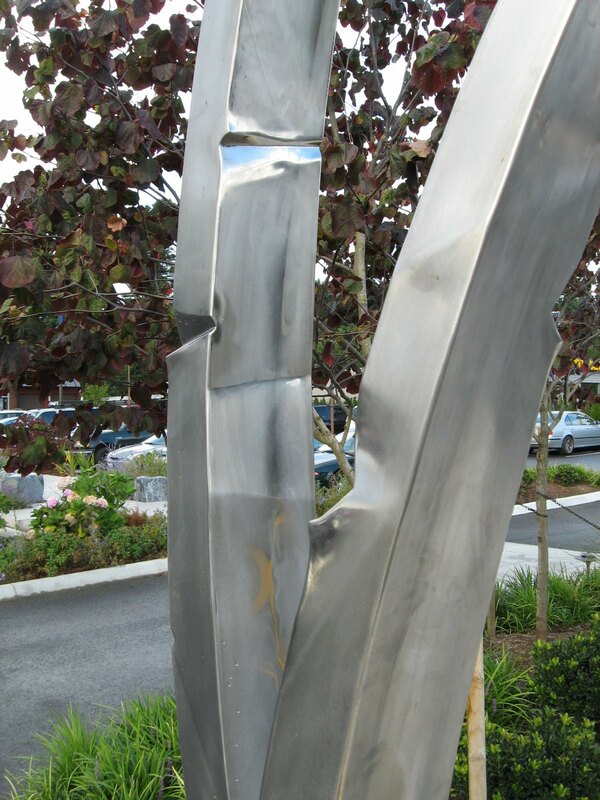 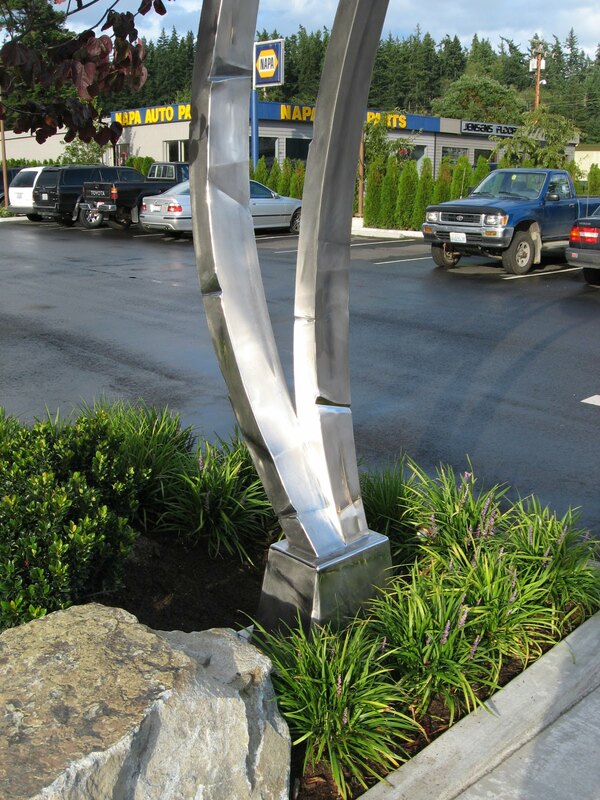 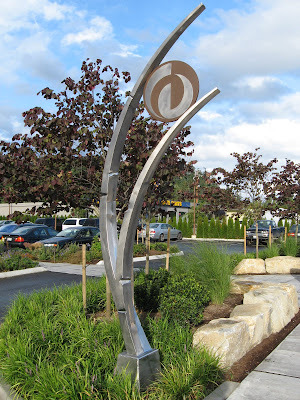 Metal Entry Art - "DIVINE NOUS"
"DIVINE NOUS"- Yet another amazing collaboration! 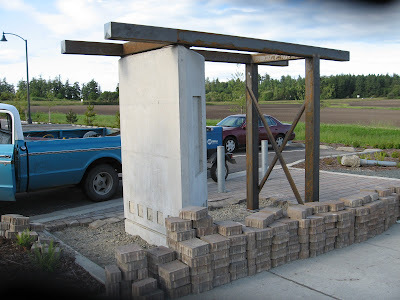 Thanks also To GEMKOW Construction! New Copper and Stainless Steel Signage for Freelands new Coffee Spot in Whidbey Telecom's new Customer Experience Center in Downtown Freeland WA. 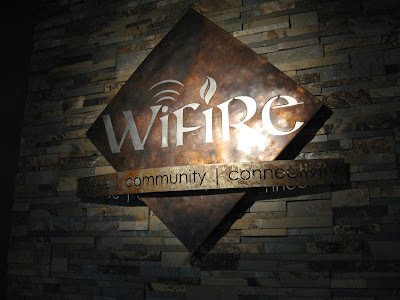 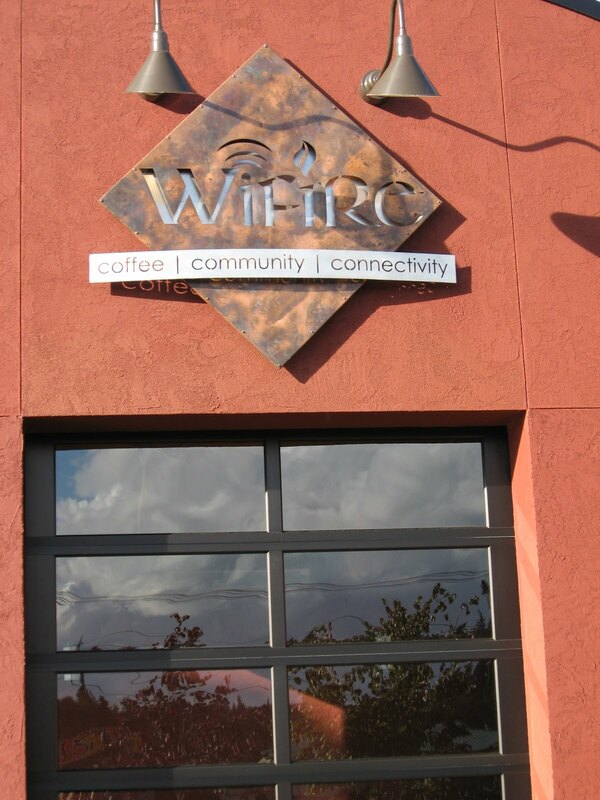 "Wifire" Offers Hand Made Breakfast, Lunch, Fresh Coffee and the Fastest "Wi-F" on Whidbey Island! 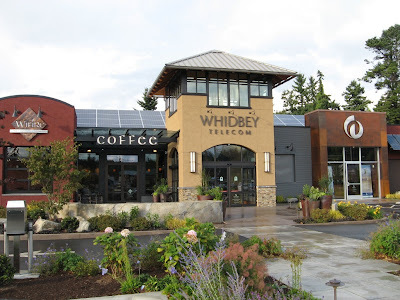 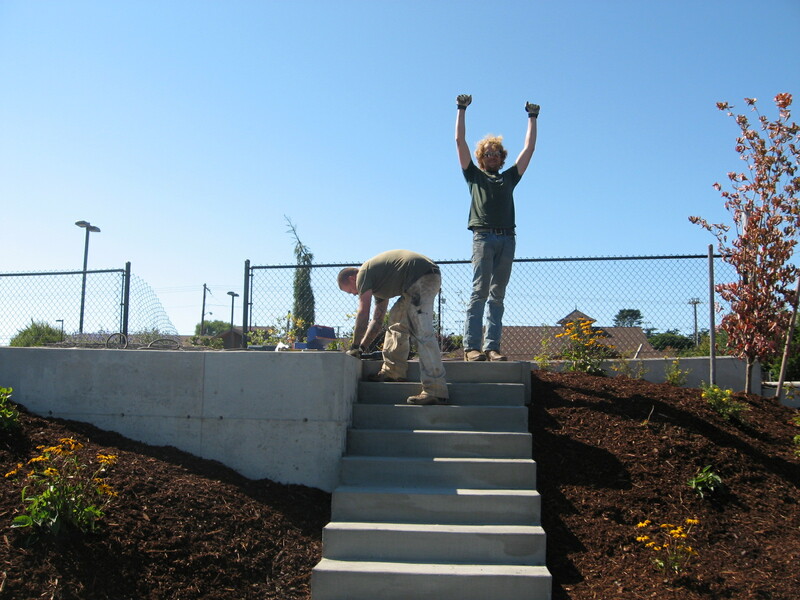 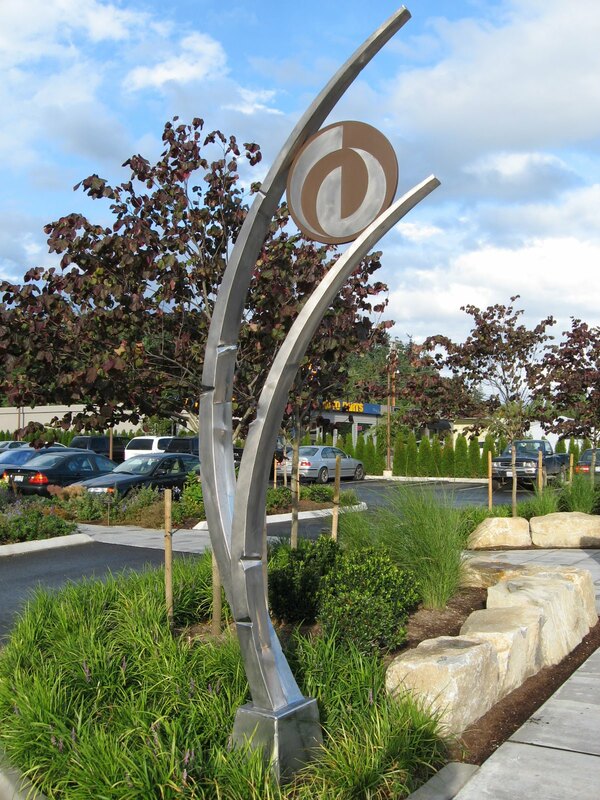 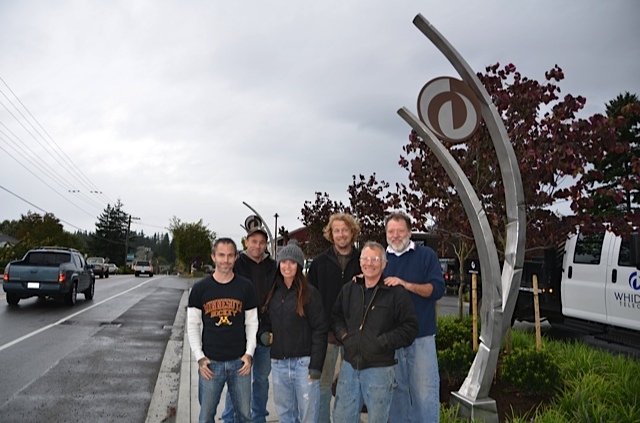 The Logo was designed By the Creative Staff @ Whidbey Telecom! 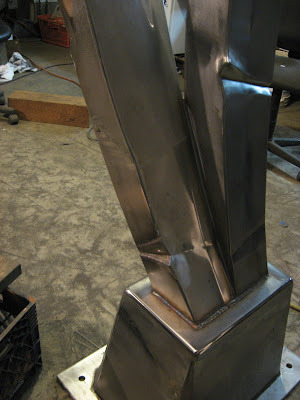 Thanks to Jeff @ Arcane Metal Arts for helping execute. 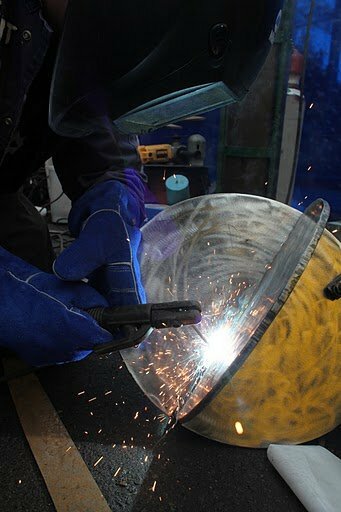 Ryan @Wright Way Metal Fab (CNC Plasma Cutting). 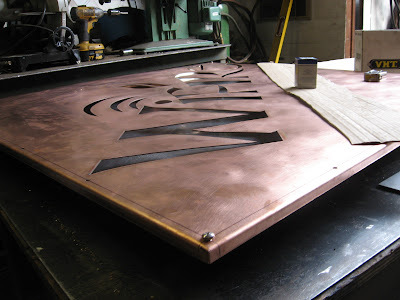 and Laser Cutting @Terrene Engineering! 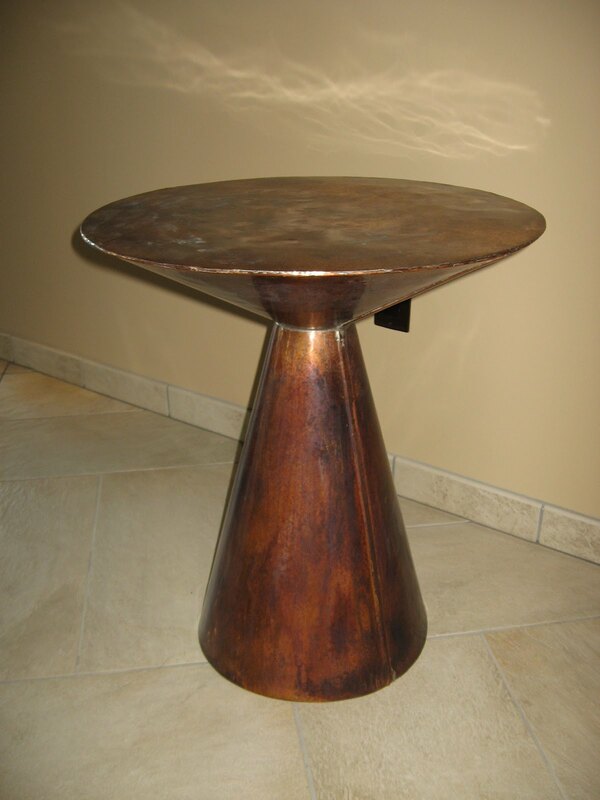 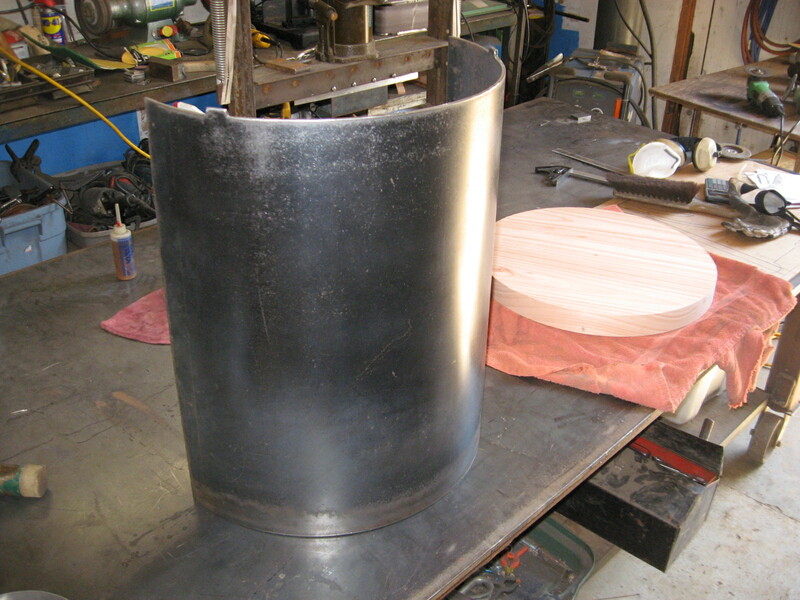 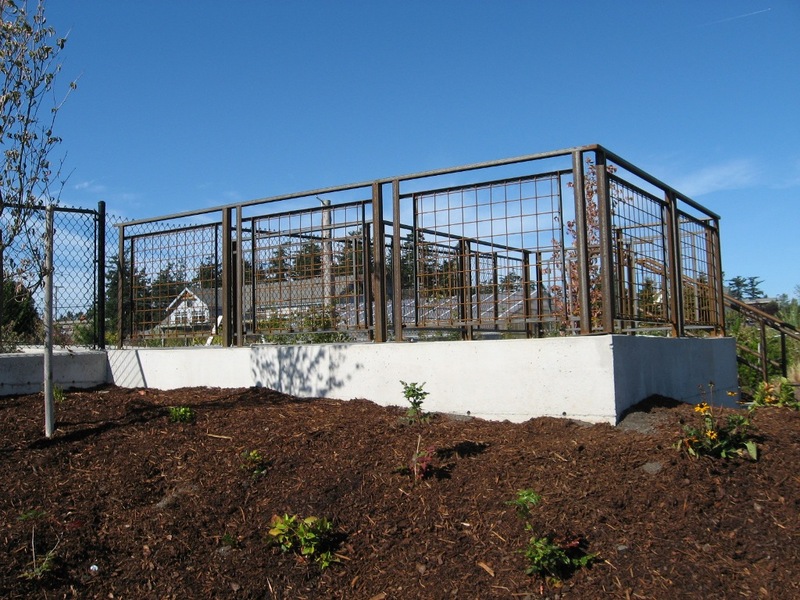 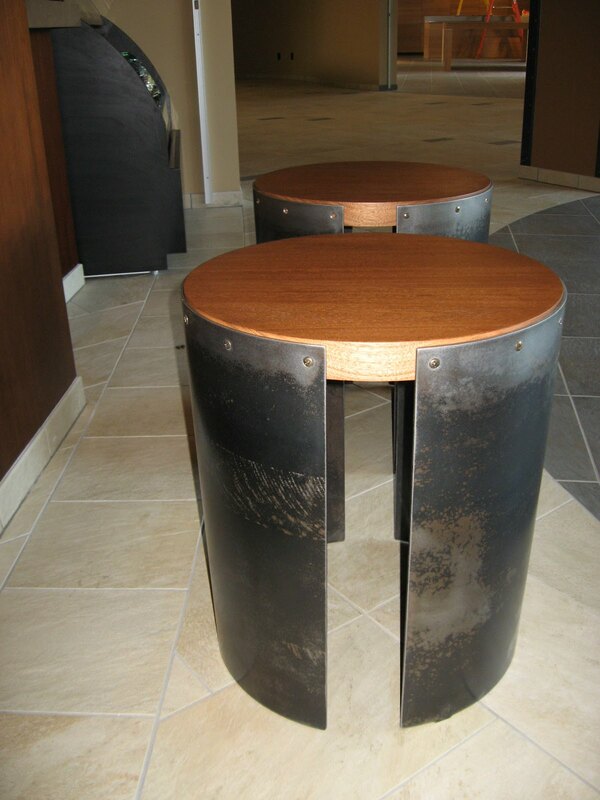 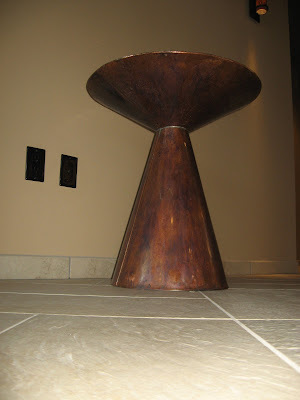 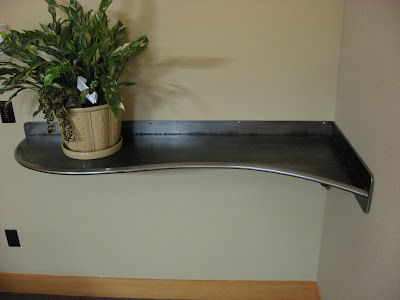 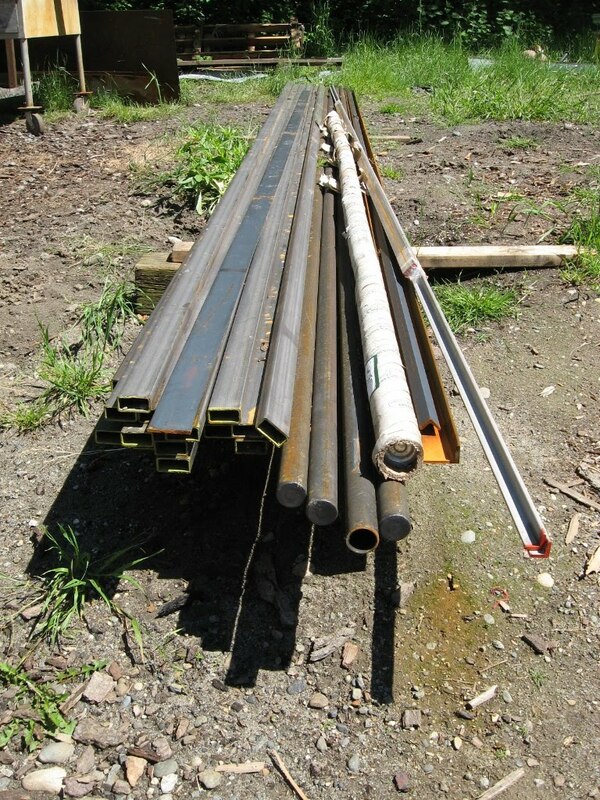 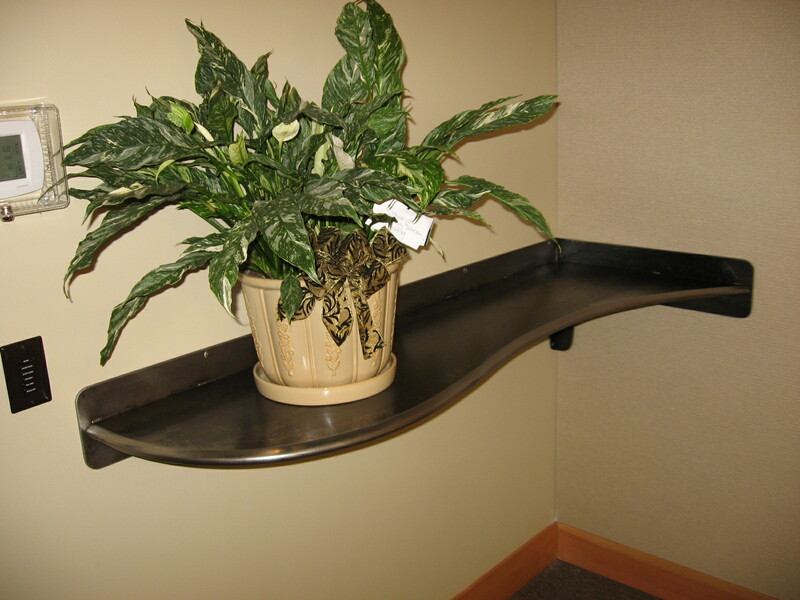 New Tables made from Copper and Steel for Whidbey Telecom's new "Wi Fire" Cafe'. 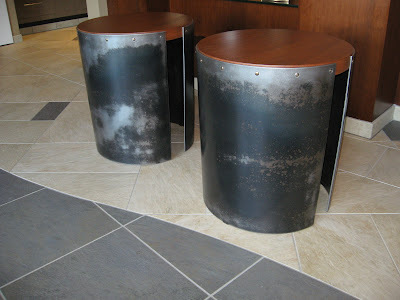 Co- Created along with KG Design Studios! 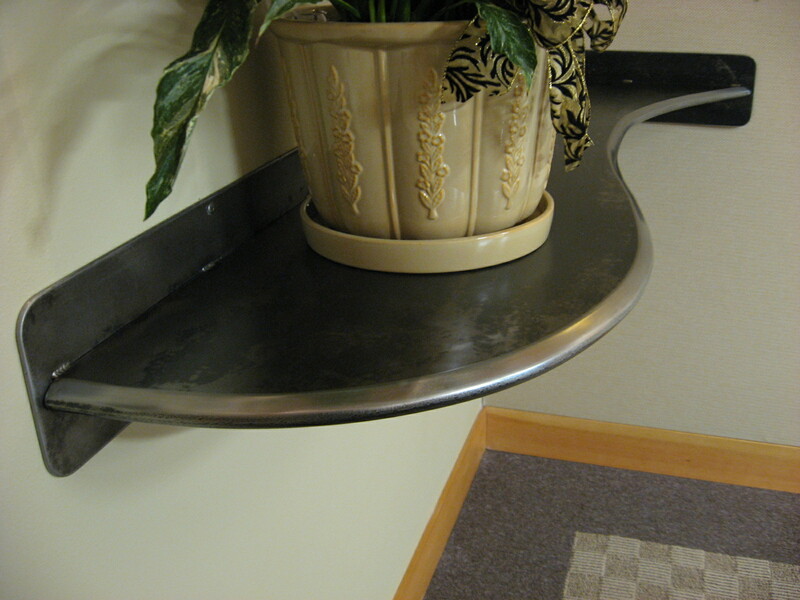 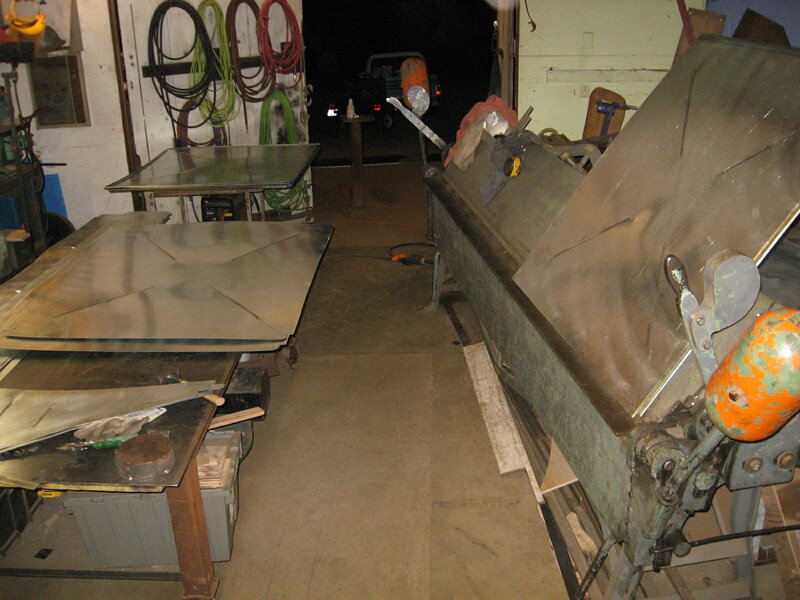 New Steel Table made from 3/16" steel plate with fully welded 3/4" rod edge. 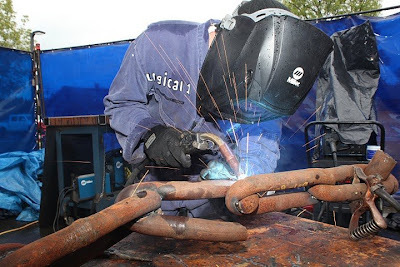 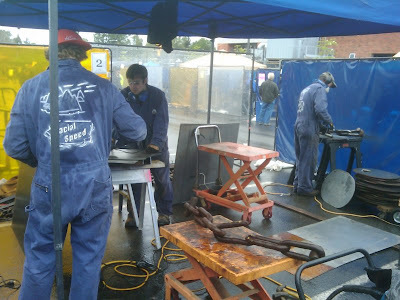 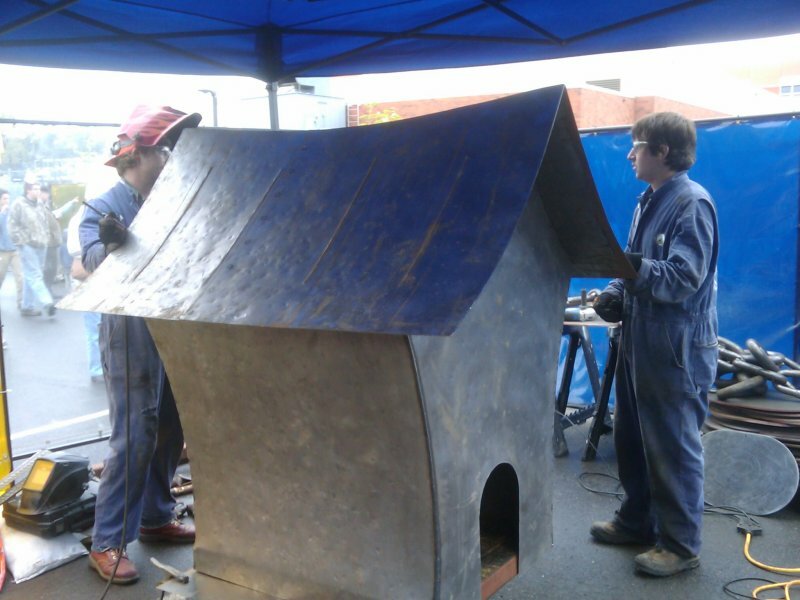 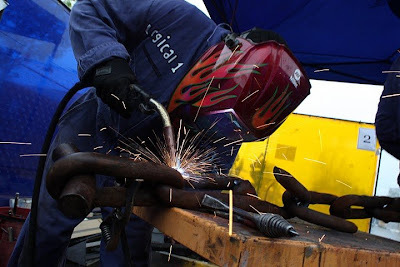 Bellingham Tech's Welding Rodeo - Team "Glacial Speed"! 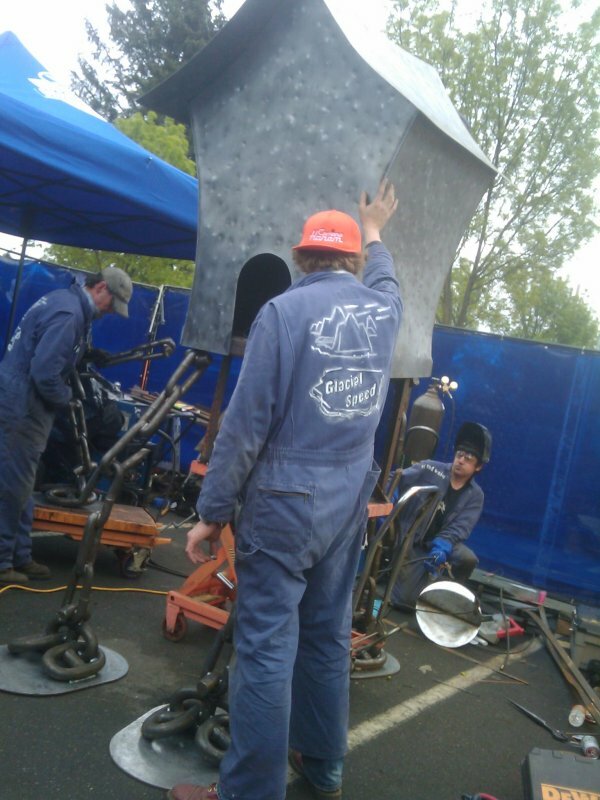 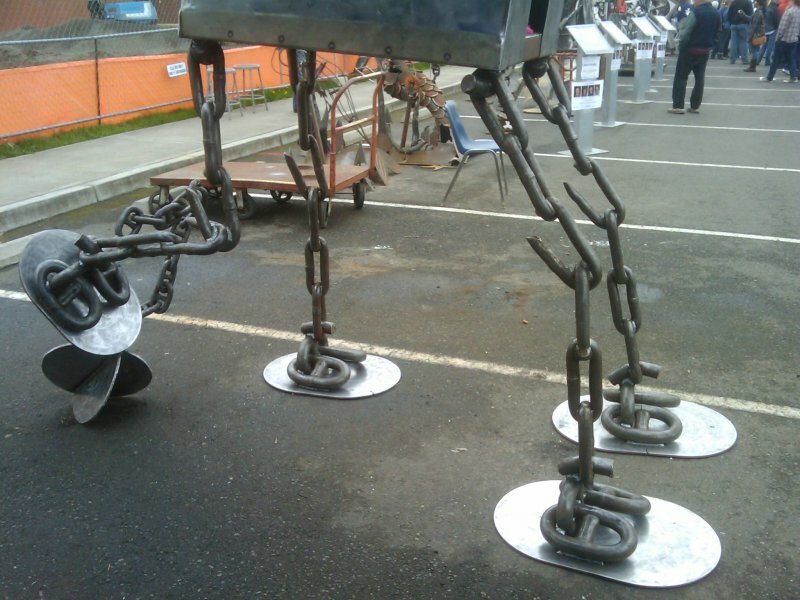 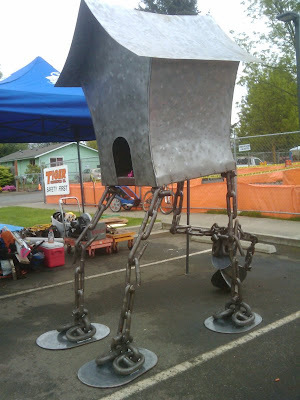 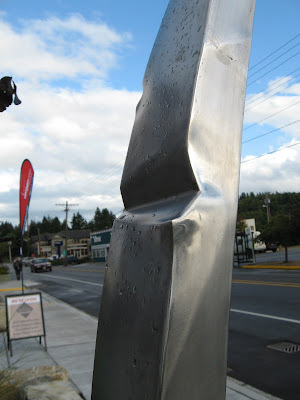 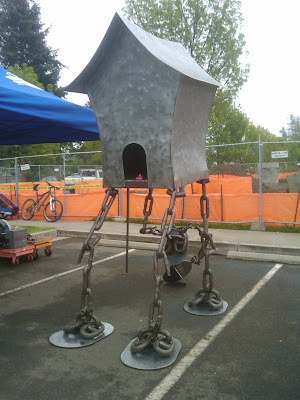 Team - "Glacial Speed" participated yet again along w/10 other teams from across Washington State to compete in an 8 Hour Competition to build an entire sculpture from scrap metal! Click on the Title above to Link to the Website! 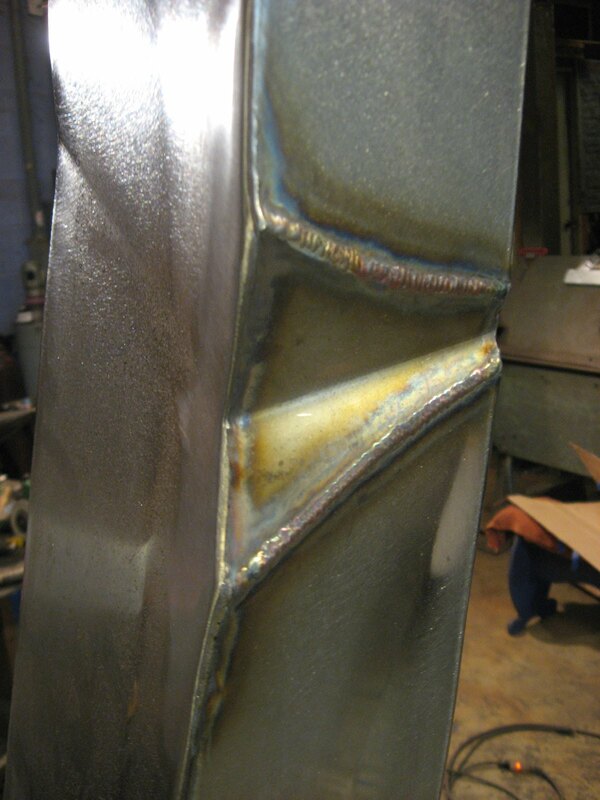 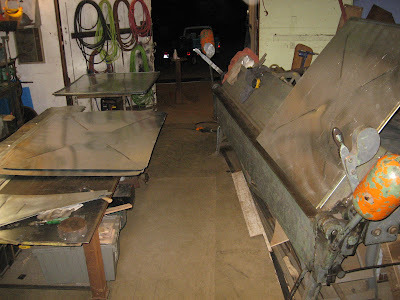 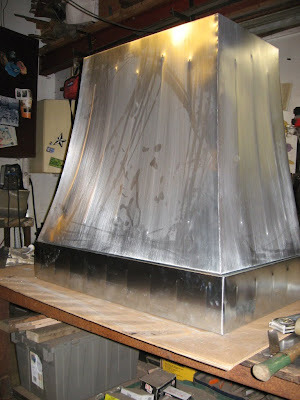 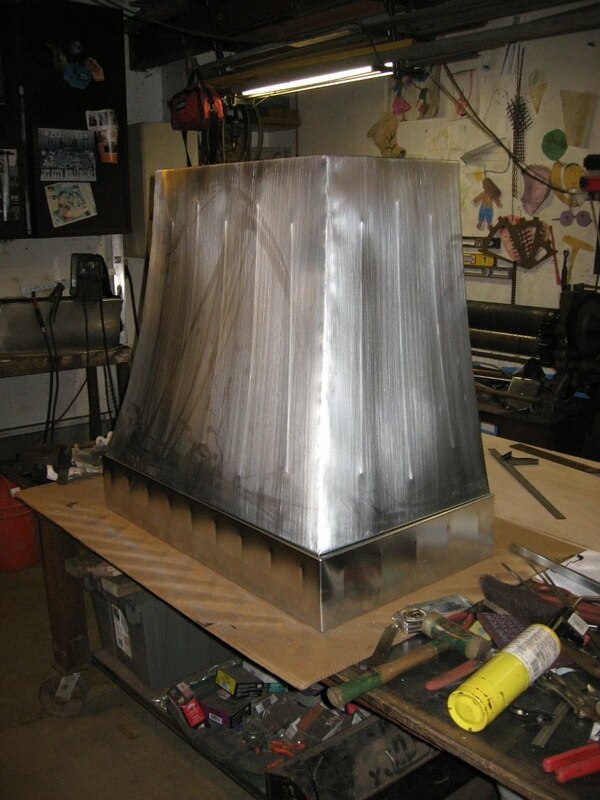 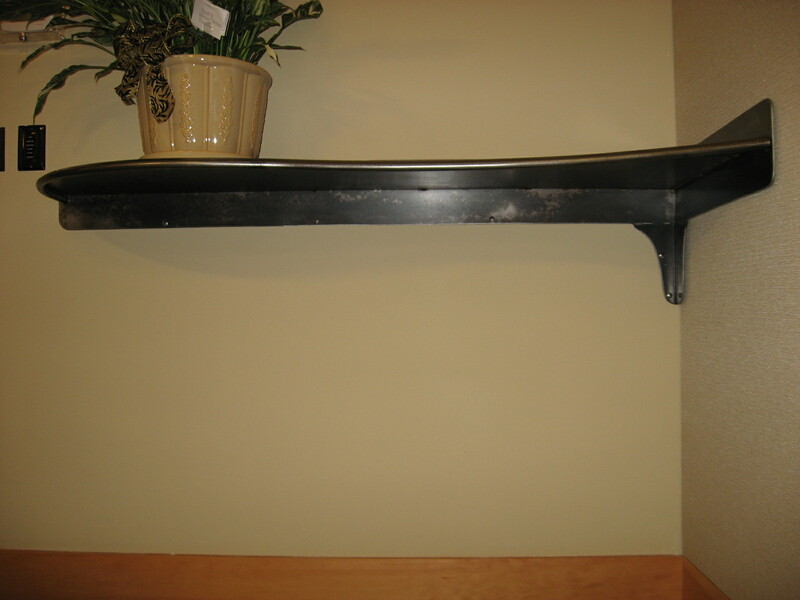 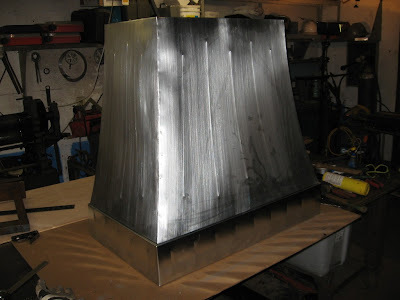 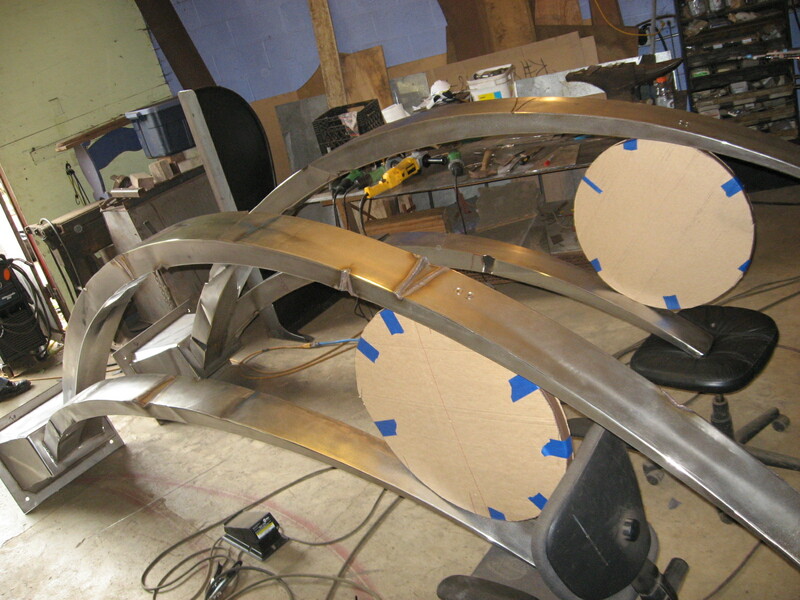 Shop Images of New Zinc Hood - Finished Pics Soooon! 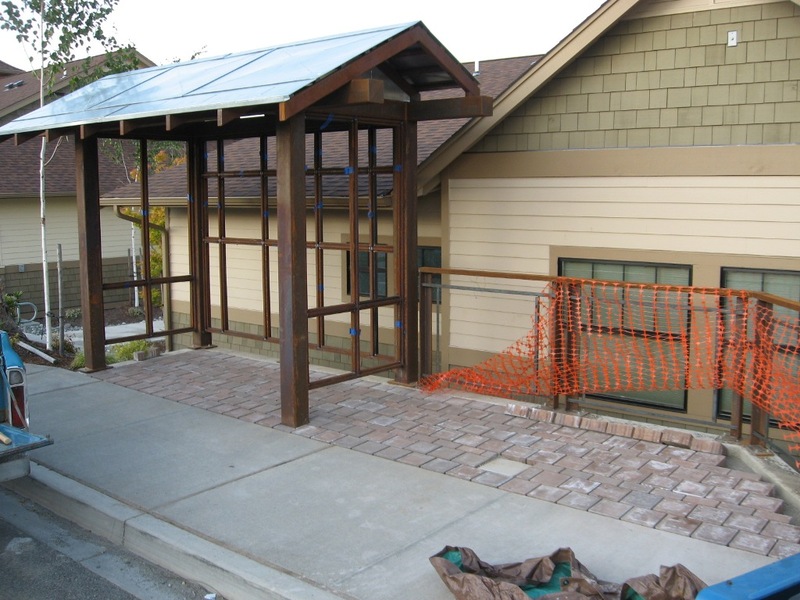 Progress Images of the Bus Shelters. 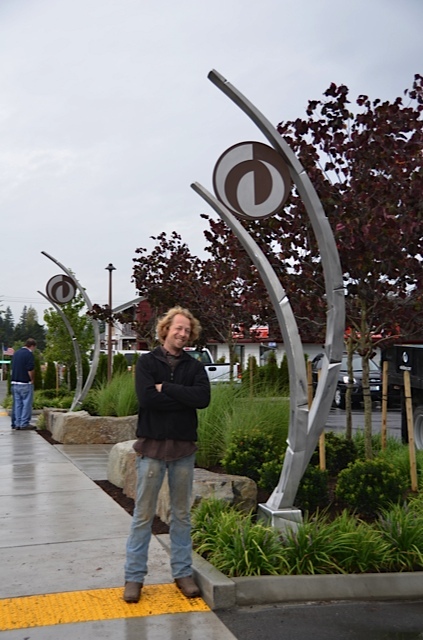 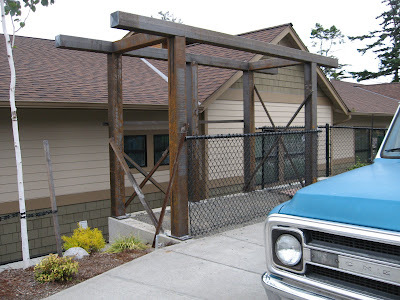 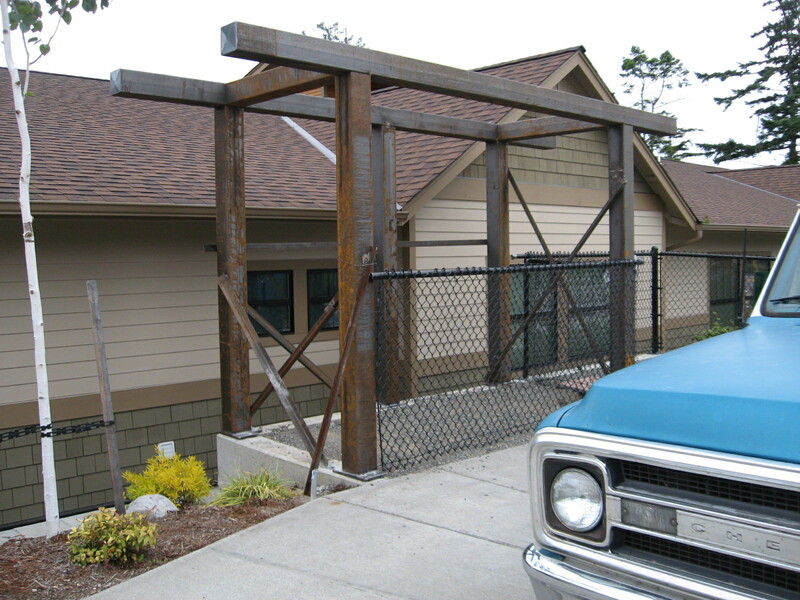 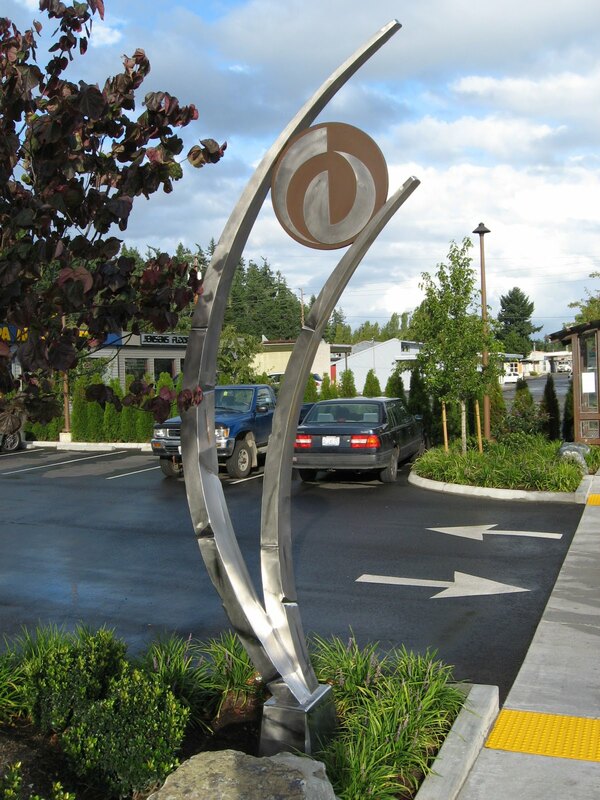 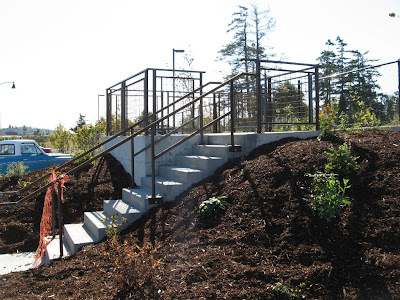 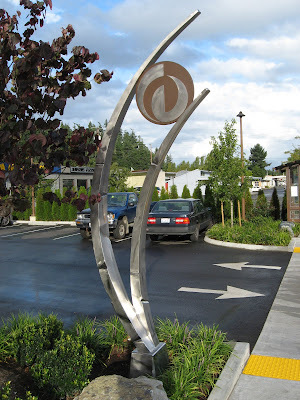 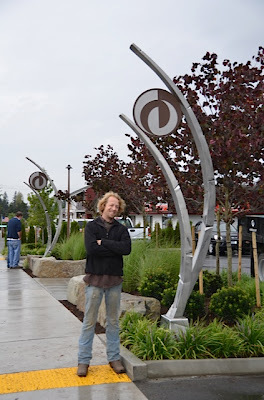 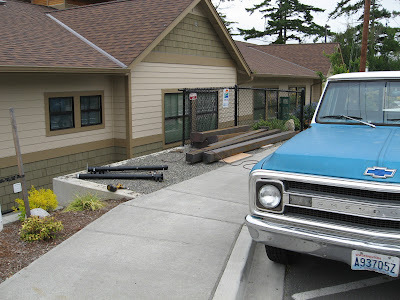 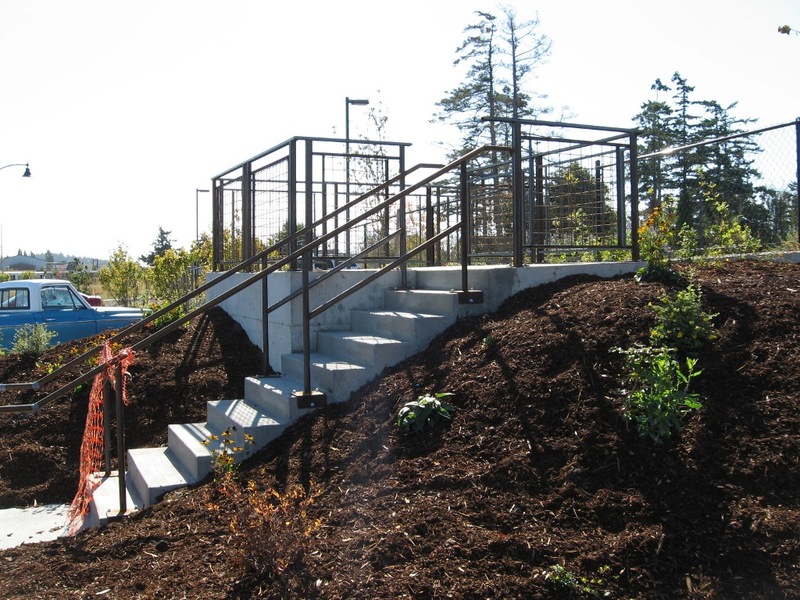 Located at Island Transit's new Park n Ride in Coupville WA. 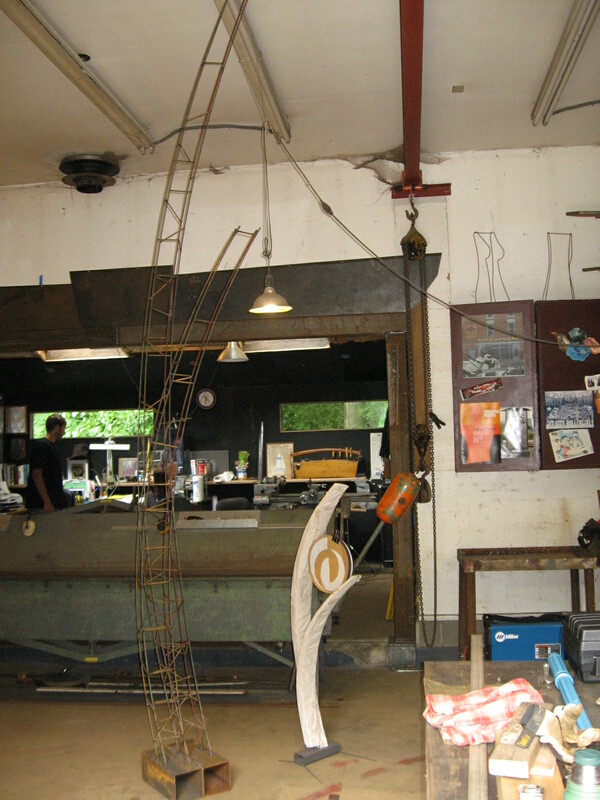 Progress Images of the Stair Tower. Built for Island Transit's New Park n Ride on Main street!